Born with muscular dystrophy, Luda has lived her entire life with a muscle weakening disease. Even though she lost full ability to walk at age nine, she has never stopped dreaming big. There is nothing easy about living life as someone who uses a wheelchair in a world run by the fully mobile-bodied population, but she turns to fiction to build a reality that can be the magic this world means. 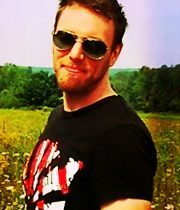 Currently Luda is part of the Google Trusted Tester group that analyzes the usability of devices. From May 2013-2016, she served on the EDI (Equity, Diversity, and Inclusion) Commission for the National Intramural-Recreational Sports Association (NIRSA), which included inclusion audits at national conferences. In 2012, Luda was part of the inaugural team for the grand opening of the Student Recreation Center at CSUN. In addition to numerous inclusion projects, she interned for AEG at The GRAMMY Museum under Development, as well as Universal Studios Hollywood under Special Events & Group Sales. Madison's interest in books began when she entered kindergarten when she was seized by an overwhelming fear that she would never be able to learn to read. Now that she can, her reading tastes grew from YA to fiction to drama to academic literature, and beyond. But it annoys her that more people with disabilities aren’t included in the media, so she wants to help change that. 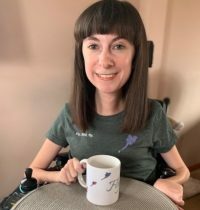 Madison holds a BA in English and Theatre, enjoys anything to do with books, loves bread, a lot, and lives life as someone with spinal muscular atrophy type II. Aly enjoys the liberty that comes when the pen hits the paper, allowing her to give life to characters and places in any way she chooses. 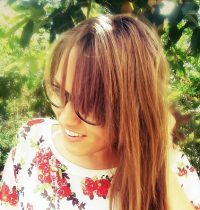 She has a deep, inner romantic side that she likes to let loose through writing. There’s no better feeling than having readers connect and feel an array of strong emotions from a story she has created. 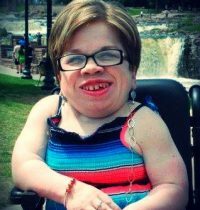 Aly loves the color green, is the eldest of three children, enjoys photography and painting, living life with muscular dystrophy, central core disease. No events at this time. Check back later, sign up for the newsletter, follow on Instagram, or Like on Facebook for all the news. Emha writes because of the freedom to rewrite reality and manipulate fantasy. She likes to test the limits of story creation and introduce new concepts to readers, as well as challenge herself to feel things out and write what comes through on the deepest emotion. Emha grew up with not knowing she had dyslexia, but as much as reading is a struggle, her passion for writing never fades. She is definitely a cat person, prefers watermelon with seeds, hates being late but always is anyways, is obsessed with nature, fascinated by the universe, and confused by the human body. 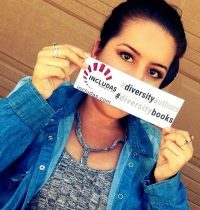 Kendra enjoys writing as an avenue to express myself and share her experiences with people. Through her writing, her hope is that the reader understands that life is full of adversity, but life’s ups and downs shouldn’t stop one from striving for their ultimate dreams. Her highest compliments have been when readers say they feel empowered by her writing. 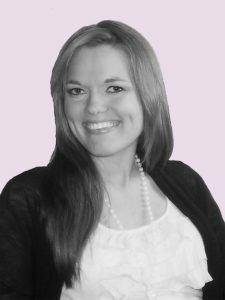 Kendra holds a bachelor’s degree in both psychology and sociology, always sees the positive in life and helping others, is a wholehearted fashionista who loves bright colors and sparkle. At age four, she was diagnosed with a rare genetic condition called Mucopolysaccharide Type VI also known as Maroteaux-Lamy syndrome (MPS VI). Kevin draws and writes to bring something magical into the world–where there is heart and emotion behind each creation, where it’s okay to laugh and be silly, where the dreams of wonderful ideas are limitless. He also enjoys screenwriting and running an art inspired business: Whimsical Mischief Studio. Kevin was diagnosed with paranoid schizophrenia in his early twenties, but it has only been recent that he became open about it. The moment came when he realized he was going to be a father. He wants the world his sons grow up in to be one that doesn’t stigmatize those who are different. Sasha is the guilty pleasure writer, writing about crazy, outrageous things that have a hint of satire, yet full of truth about the world under the context to spotlight the cruel reality no one wants to admit to. Advice to writers, is that if you want to write books for readers, think of your story backwards, then flip it sideways a few times and then look at it upside down. If you still love it, write it to perfection. Sahsa's goal is to create stories that make people think smarter, wiser, deeper, and believes that the best medicine to moments of deep anxiety is writing. Also, so are sweatpants and hoodies, and Eminem music.